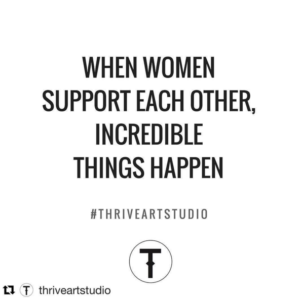 I’m honoured and thrilled to accept an invitation to join THRIVE Mastermind, a group of professional, female artists who support each other in their careers. As part of the Mastermind, I’m in the THRIVE Network. The network membership is available for a small fee to the public. I highly recommend for any female artist near or far. I can’t wait to connect with this creative, collaborative and visionary group. I’m ready to ignite my practice, meet like-minded artists and make great things happen…together!